Moodswing is a 1994 album by jazz saxophonist Joshua Redman. In the extensive liner notes of this CD, tenor saxophonist Joshua Redman writes that the main problem with jazz at the time was not the music but the public perception of it as forbidding and overly intellectual; that in reality jazz is quite fun and emotional. Those descriptions can certainly be applied to Redman’s music, which, while pulling at the boundaries of modern hard bop, is also fairly easy to grab on to. Joined by his regular bandmembers of the period (pianist Brad Mehldau, bassist Christian McBride and drummer Brian Blade), Redman performs a full set of originals which, although not derivative, do fit into the straight-ahead tradition. At this point in time, Redman was growing from album to album, having already started at a high level. A fine outing (https://goo.gl/jptNXH). 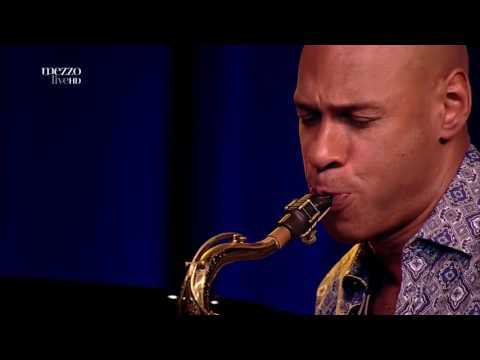 All compositions by Joshua Redman.